The global fluoropolymers market was valued at USD 3 billion in 2017 and is forecasted to grow at a CAGR of 6.4% from 2018 to 2026. Fluoropolymers are the advanced olefinic polymeric solutions and are among the most modern materials for different end-use applications. These polymers are highly durable with distinct attributes of high chemical & mechanical strength and electrical insulation as compared to many other polymers. Fluoropolymers are used in the manufacturing of large number of end-use products that are used by consumers on daily basis. The global market of fluoropolymers is driven not only by wide array of applications but also by its tendency to replace conventional materials such as glass, metal, and high-performance coatings. Some of the megatrends that have resulted into new applications and challenges for fluoropolymers include limited raw material sources, change of climate & technology, digitization, and aging population. Rising demand of fluoropolymers in the construction, automotive, and few other industrial sectors has driven its market growth rapidly. Fluoropolymer are basically a family of high-performance plastics. These are made to be use in both the solid construction and lightweight construction methods. Moreover, the type of fluoropolymer thermoplastic differs with the regions depending on the construction method, as for instance in U.S., the suspended ceiling construction necessitate cable insulation for fire protection and thus make use of specific fluoropolymer. Some of the latest and innovative applications of fluoropolymers include optimized membrane construction for buildings, nonflammable indoor high frequency cables, in reactor design for enhanced yield of reaction, component of dialysis devices, and non-stick coatings. 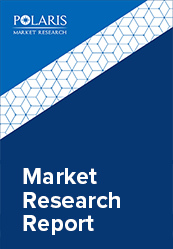 Its wide range end-use markets and industry trends include energy, architecture, chemistry, electronics, automotive, pharmacy, medicine, and most commonly consumer goods. Fluoropolymers have established themselves with a permanent place in the industry in the current scenario. These include fluor-spar as the most significant ra material, the presence of which was scarce till 2010. However, the raw material is being mined in many parts of the world and with secure supply for the future. Polytetrafluoroethylene (PTFE) is the largest product segment for the global fluoropolymer market. These have been made commercially available for over 50 years and have also developed variety of applications. Some of its applications include wires & cables, fluid processing equipment, textile fibers, lubricants, and cookware coatings. Polyvinylidene fluoride (PVDF) is known to be the second largest product segment. End-use applications for fluoropolymers include electrical & electronics, construction, automotive, aircraft, medical devices, industrial equipment, chemical synthesis, and consumer products. Construction is anticipated to be the largest end-use sector for fluoropolymers. Moreover, electronics, consumer products, automotive, and industrial sector are also lucrative for the global market. Asia Pacific is anticipated to have the largest demand for the fluoropolymers. Lower cost of production in some its nations has contributed significantly to the growth. In addition to this, the economic growth of its emerging nations such as India and Southeast Asian countries in tandem with the respective industrial growth has also led to increased consumption of fluoropolymers for the region. North America and Europe have also witnessed significantly higher demand post Asia Pacific respectively. The U.S. is the major contributing nation for the growth of fluoropolymers industry on account of its consumption in aircraft, construction, and automotive industry. The global fluoropolymer industry is highly competitive with high degree of integration by the major players across the value chain. Crucial competitiveness parameters among the companies include shift towards the modification of existing polymer type via processing techniques and extensive R&D. Some of the key market players include 3M, DowDuPont, Solvay SA, Fluoro-Plastics Inc., Arkema SA, Afton Plastics, Fluorotherm Polymers, Inc., and Asahi Glass Co. Ltd.